Where did Paul get his courage? That last line sounds like an answer to prayer. In the midst of all his woes, Paul was not thinking of himself. He knows he will reach Rome, come hell or high water. But what about his shipmates? 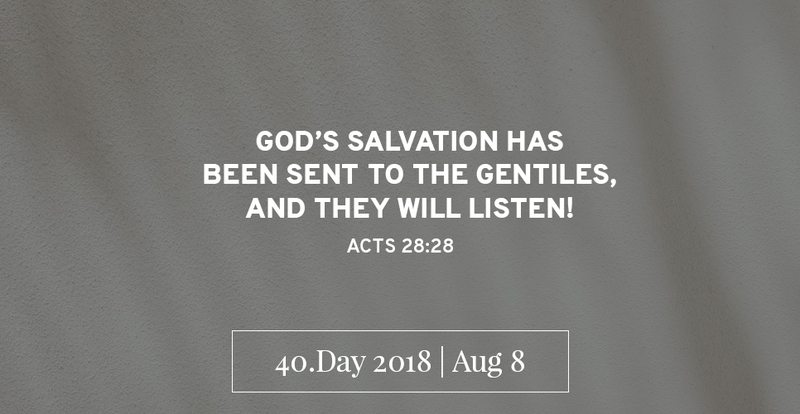 God gives them all into Paul’s hands for safe keeping! That’s why he’s there, like a bridge over troubled water. That’s why the Church exists: To be there for others. One, they call for witness and perseverance in God’s mission against all odds. Two, they occur on the frontline of missions. And three, most of them occur in the face of severe persecution and peril. Get it? Faith is not a ticket to the Oscars. Visions are not up for grabs. 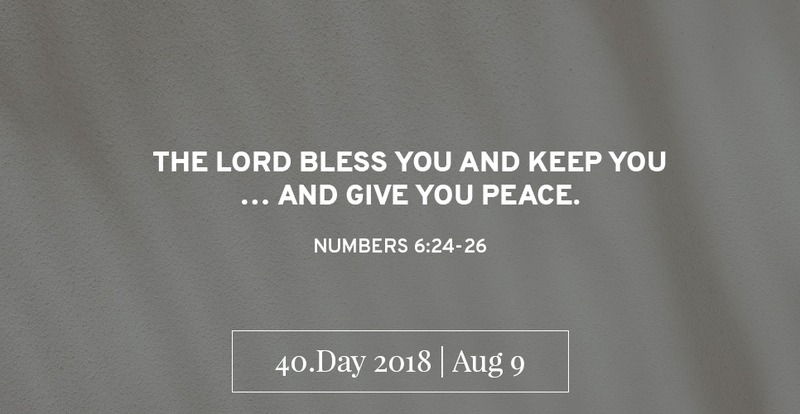 It is presumptuous to think that we are entitled to such close encounters with Christ if we are not laying our lives down for God’s mission as Paul did. Visions are not chat-lines to heaven. They are marching orders from God. They call and guide witnesses of Jesus to the ends of the earth. Faith is not what rescues you. It’s what guides you. Faith will lead you to still waters in the end. But don’t expect blue skies and smooth sailing all the way. Be prepared for fire and fury, storm and shipwreck, as God works out His purpose for you and your generation. Evil is not wanting to be there for others. Our relationship to God is no religious relationship. Instead, our relationship to God is a new life in being there for others. 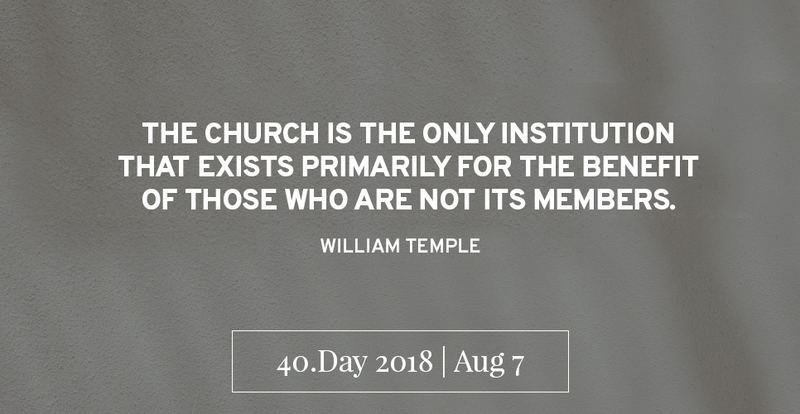 The Church is Church only when it is there for others. It must tell people in every calling what a life with Christ is, what it means to be there for others. The Church’s word gains weight and power not through concepts but by example. Are we there for the elderly? By 2030, 27% of our resident population will be 65 and above, and a projected 83,000 will be living alone. Many fear social isolation more than material lack. According to research, lonely people with less social connection are at a higher risk of stress, sleep disorder, altered immune system, inflammation, heart disease, stroke, depression and suicide. 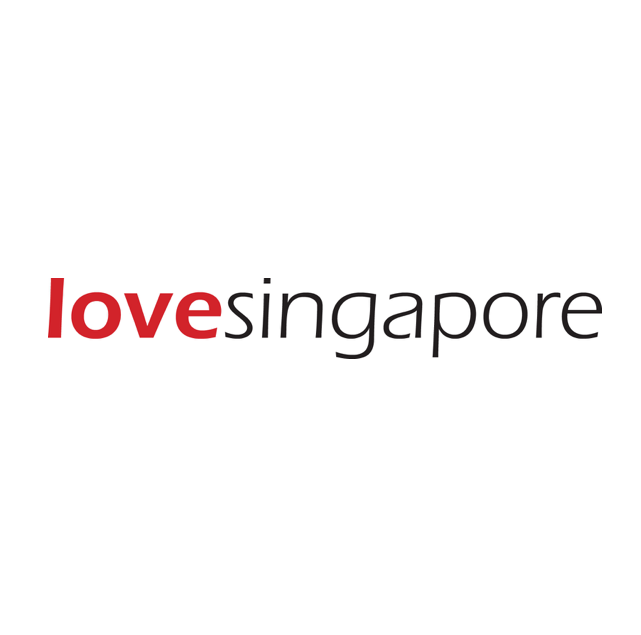 In 2015, more than 50% of Singaporeans aged 60 and above reported being lonely. 126 committed suicide, a 60% increase from the year 2000. In spite of government efforts, there is still a lack of public awareness and cultural openness towards ageing. Pray for change! Whatever happened to the Asian value of family and filial piety? What happened to the Fifth Commandment to honour your father and mother? Will the Church be there for the lonely, vulnerable elderly abandoned by kith and kin? Are they even on our radar? Search deep within. Will we lead by example? Ask God to give us no rest until we make ourselves nothing, until we take on the nature of a servant, bridge the gaps and serve the suffering elderly among us. So you want to see an angel? Or meet Jesus in person? Remember, Jesus visits Paul between the hammer and the anvil — in the pangs of persecution, prison and peril. Pray: God, have mercy. Pardon our presumption. Dispel our illusions. Destroy our audacity. We seek exotic epiphanies in heavenly places while having little or no interest in seeking the lost. Forgive us for thinking we deserve visions and visitations from You, when we lack the character and commitment of Paul, when we are not anywhere near the battleground of missions. Bring us back to basics. Bring us down to earth to hear and obey Your marching orders in Your written Word. When we are in the centre of the storm, in the throes of shipwreck, Your abiding presence is more than enough. We will not fear for You are with us — to the ends of the earth, to the end of the age. 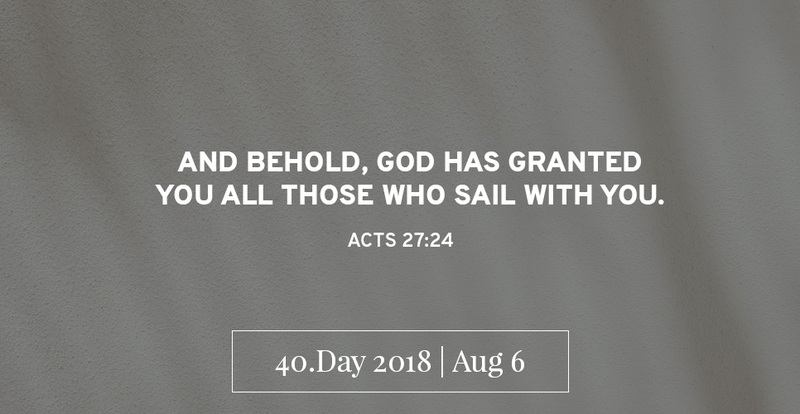 Read the devotional from Day 36, August 5: All hands on deck here.